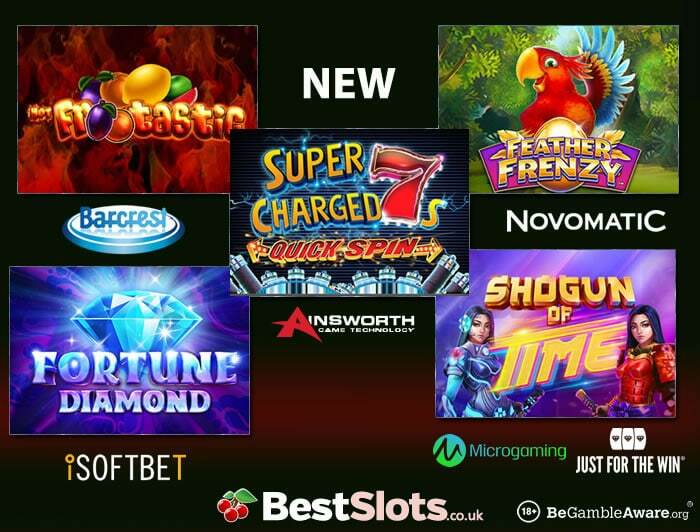 There are 5 new slot games to play with titles from Novomatic, Just For The Win/Microgaming, iSoftBet, Ainsworth and Barcrest. 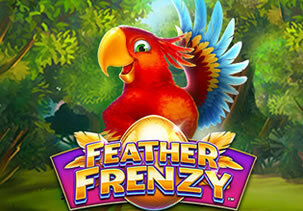 Powered by Novomatic, Feather Frenzy is a 5 reel, 20 payline slot game that takes you to the rainforest. With colourful birds on the reels, the blue one is worth 2,000 times your stake if you fill the reels with it. It’s all about the Free Games feature where up to 25 free spins can be won in total. Look for key symbols appearing with caged bird symbols – if that happens, you’ll win the cash prize (up to 100 times your stake) associated with the caged bird. Get more key symbols to double or treble the cash prizes. Powered by Just For The Win and Microgaming, Shogun of Time is a 4 reel, 81 payline title which has a cyber-punk theme. Set in ancient Japan, it comes with a Reel Split Re-spin feature where a 5th reel is added with the other 4 reels locking in place to give you a better winning outcome. There’s also a Free Spins feature where up to 16 free spins can be won on a 5 reel, 243 ways to win game engine – the middle reel is wild throughout. You can win 2,717 times your stake on each free spin. 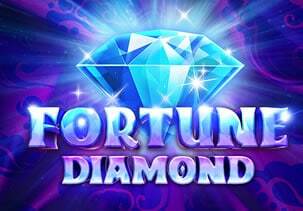 Powered by iSoftBet, Fortune Diamond is a 5 reel, 50 payline game that has a Chinese/fruit machine theme. It benefits from wild multipliers up to 10x and a Free Spins feature where you can win up to 100 free spins – if a wild multiplier is part of the triggering spin, it will apply in the feature meaning every free spin can be subject to a 10x multiplier. There are payouts of 20,000 times your stake on each free spin (with the 10x multiplier). Powered by Ainsworth, Super Charged 7s comes with 5 reels and 40 paylines and has a fruit machine theme. There’s a Wheel feature where you can win cash prizes – the more triggering symbols, the bigger the multiplier (up to 5x) is applied to the cash prizes. There’s also a Free Games feature where up to 16 free spins can be won. 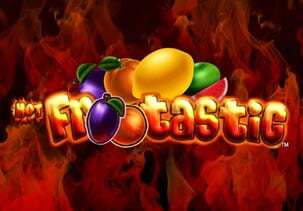 Powered by Barcrest, Hot Frootastic is a simple 5 reel, 10 payline slot game which has a fruit machine theme. With a flaming backdrop, there are no bonus features at all. The action revolves around the high value golden 7 symbol – if you get 5 on a payline, you’ll win 500 times your stake. If you fill the reels with it, you’ll pocket a huge 5,000 times your stake.